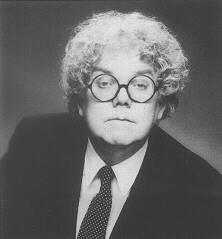 So who is Stan Freberg? Over the past decade, master satirist Stan Freberg has been making quite a bit of history on his own, not only as a star of radioand TV, but as the man who actually pioneered the now-booming field of comedy recording. For it was the tremendous success of such Frebergian funnies as St. George and the Dragonet,The Yellow Rose of Texas, and the controversial Yuletide classic Green Chri$tma$ which opened the floodgates for the current rash of hi-fi humor for the home. More recently he has extended his talents to the world of advertising, where he has been setting Madison Avenue on its grey flannel ear with his brilliant comedy commercials for both radio and T.V."